When I first started to take responsibility for my life and not just leave it to chance happenings, random acts of God, luck, or other people’s actions, I had to learn to spot my negative and lack mindset. I had no idea that I had been programmed from my environment (family, school, religion, community, media…) and that I could change my life and wealth by changing my mindset. I don’t know about you, but there were no consciously empowering mindset trainings in my childhood and some adulthood. You were expected to do as you were told and be a good citizen with limited personal power. I pretty much lived the unhappy attitudes listed below because these were the beliefs I was programmed with as a child. These were the beliefs and vows of my immediate family and community. To survive and be part of the tribe I had to play by their rules. On a daily basis my life felt out of my control and like a roller coaster ride. Some days things flowed smoothly the way I wanted, and other days it was like I couldn’t get a break. 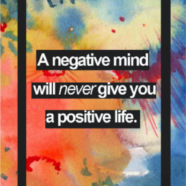 Positive or negative outcomes felt like they were the result of someone flipping of a coin. I felt powerless, not good enough and like a victim. I felt not good enough because if I just knew what to do “the right way”, “was smarter”, “prettier”, “thinner”, “had more money”, “was a male”, or if I didn’t have _____________(fill in the blank). When I intuitively found John Assaraf in my early 40s, he was teaching business along with the law of attraction and I knew I had to have him as a mentor. I had never heard of anyone in the business world doing this and I was fascinated by both. John educated me about the mind, energy and the Universe’s laws. I learned I had a lot more influence over the results of my life than I had grown up to believe. All of a sudden my life wasn’t as chaotic as usually. I felt more empowered and focused. 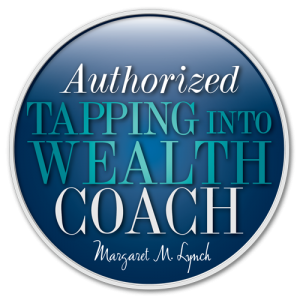 I was having a higher rate of success manifesting what I desired in my life. It felt magical and yet it was science. I had no idea I had so much personal power. I thought I was weak and unworthy of the dreams I longed for. I was so pissed off when I found out that others (particularly business men) knew this information and weren’t freely teaching it to everyone! Why wouldn’t we teach this in school. Why wouldn’t we empower our youth—everyone? 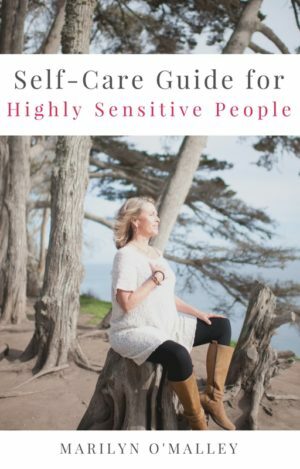 I want to share with you how you can start to have more control, power and desired manifestations for yourself. It all starts with your mindset. A prosperous mindset is high vibrational energy which draws to you new circumstances, people and events to help you create your life. attracts back to you more opportunities to experience more of what you are feeling and desiring. The first thing I did, and recommend you do, is find out where your mindset is right now by taking a good look at your own thoughts, environment and circumstances. Ask yourself, What thinking, beliefs, actions and lack of actions is creating your present reality? Then using the list below start replacing your mindset with one of the prosperous ones below. You may choose to do one at a time or a couple. Let go of your shame and guilt about not being more than you are at the moment. You were programmed to be stuck there. AND now you are free to advance your prosperity further with this knowledge and training. You can create positive affirmations by replacing the beginning of the sentence with an I. For example, “I think big” or “I create my life” and write the ones you are working with down on a 3×5 card and read them throughout the day feeling the way you will feel when it is true. Feeling it is very important. You can make it a mantra that you repeat throughout the day that raises your energy level to feeling what it is you will feel when you receive what you desire. For instance “I am creating my life to feel free, excited and empowered.” I will let myself feel these feelings for about 10 minutes imaging all I would create from that feeling & imagined state. I follow up with any actions that come to mind in this process. I do this daily until they manifest in my life and I literally feel freer, more excited and empowered naturally. I don’t have to work at it anymore. Below is a list of prosperous money mindsets to start creating your new money mindset from. 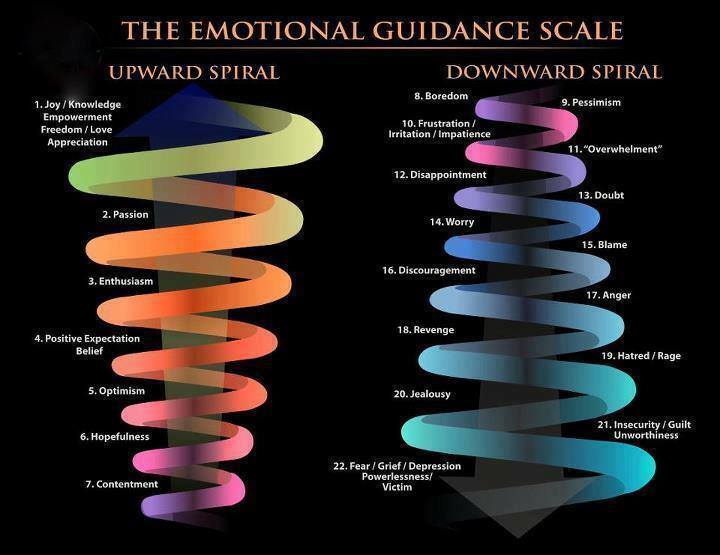 The Emotional Guidance Scale is there for you to learn about where your feelings are taking you. You want to be working your way up the spiral not down. You can start to pay attention to your habitual emotional habits. For example: If you get bored, do you do something involving drama to spike your energy up? Your bored so you start looking outside yourself for something to get you charged up and it might be worrying about something, blaming someone for your unhappiness, or criticizing your looks or financial situation. This is spiraling downward. I took the list below from T. Harv Eker’s book, Secrets of the Millionaire Mind and replaced poor people with unhappy people and added a few of my own. Changing your mindset to a prosperous one is an acknowledgment that you are worthy. It is an act of Self-love and empowerment. Up-leveling your mindset improves the results in your life. This is not a one time deal, it is a life inner job, worthy of your attention, as you are worthy of your desires. 1. Prosperous people believe “I create my life”. 2. Prosperous people play the money game to win. Unhappy people play the money game to not lose. 3. Prosperous people are committed to prosperity. Unhappy people want to be prosperous. 4. Prosperous people think big. 5. Prosperous people focus on opportunities. Unhappy people focus on problems. 6. Prosperous people admire other prosperous and successful people. Unhappy people resent prosperous and successful people. 7. Prosperous people associate with positive and successful people. Unhappy people associate with negative and unsuccessful people. 8. Prosperous people are willing to promote themselves and their value. Unhappy people thing negative about selling and promotion. 9. Prosperous people are bigger than their problems. 10. Prosperous people are excellent receivers. Unhappy people are poor receivers. 11. Prosperous people choose to get paid based on results. Unhappy people choose to get paid based on time. 12. Prosperous people think “both”. 13. Prosperous people focus on net worth. Unhappy people focus on their working income. 14. Prosperous people manage their money well. Unhappy people mismanage their money. 15. Prosperous people have their money work hard for them. Unhappy people work hard for their money. 16. Prosperous people act in spite of fear. Unhappy people let fear stop them. 17. Prosperous people constantly learn and grow. Unhappy people think they already know. 19. Prosperous people feel & know they are worthy. Unhappy people feel not good enough and unworthy. 20. Prosperous people feel money empowers people. Unhappy people feel money disempowers people. 21. Prosperous people choose to be their unique Self. Unhappy people choose to be poor imitations of someone else. 22. Prosperous people spend time on themselves first to insure that they have the energy and capacity to better serve and inspire others. Unhappy people put others before meeting their own needs and feeling undervalued, depleted or resentful. 23. Prosperous people ask for what they desire. Unhappy people focus on what they don’t want. 24. Prosperous people use their intuition. Unhappy people think they have to know how to do everything. 25. Prosperous people pay attention to what they are feeling. Unhappy people avoid their feelings. Love to see comments or questions. Your sharing helps others. To living your prosperous and juicy life! Call me to set up a Discovery Session if you”re ready breakthrough their blocks around money, being seen & heard, life harmony and self worth, so they can express themselves freely, make a difference in the world while living the life they love and have financial freedom and independence.